A catalogue of the Ashmolean’s Japanese decorative arts from the Meiji period (1868-1912), by Oliver Impey and Joyce Seaman (published Oxford, 2005). 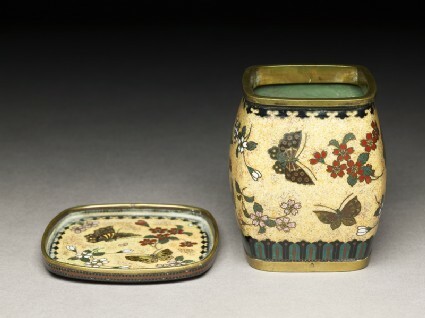 Square tobacco jar on a flat square tray with butterflies on a yellow ground. 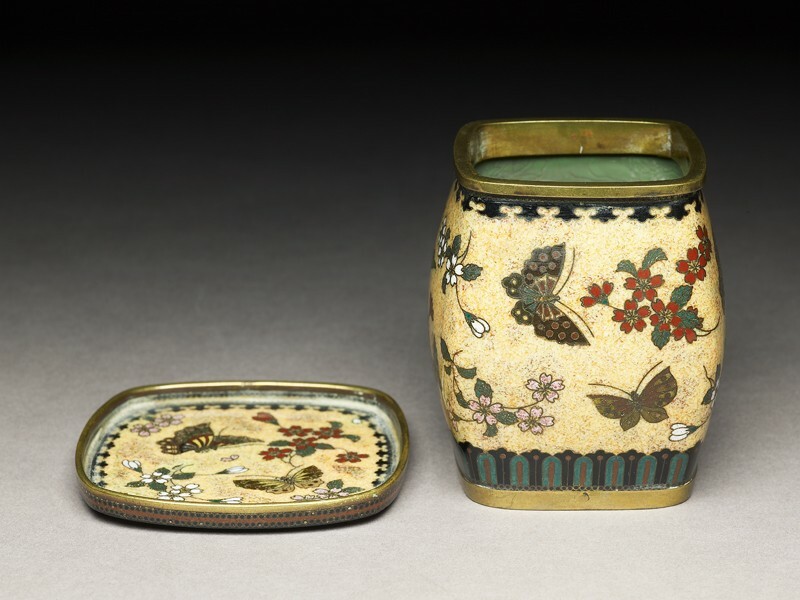 Cloisonné enamel was little used in Japan until the 1830s, when the first three-dimensional objects were made; the early pieces were muddy coloured and much use was made of wire to prevent slippage of the colours. 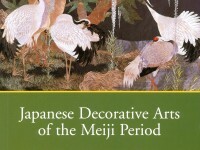 The craft progressed fast and within sixty years was one of the finest of Meiji art-crafts. The flocculent yellow ground is typical of the work of Namikawa Yasuyuki (1845-1927) in the 1880s; this is simpler than most and must data from early in the decade. The museum owns Yasuyuki's handwritten receipt for this, which gives the day and the month but not, sadly, the year. This receipt enables us to identify other early and unsigned pieces by him. Purchased with the assistance of the Story Fund, 1995.